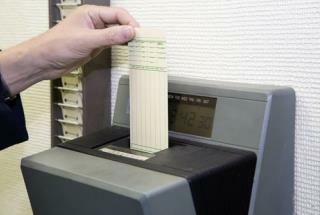 (Newser) – Show of hands, how many people are still clocking in at 9 and out at 5 every day? Well, you might be in the minority soon. In its annual list of top trends, communications firm Euro RSCG Worldwide is predicting that “Generation Y will upend the traditional workday, as the digital generation works anywhere, anytime.” Time agrees, predicting that telecommuting and flexible schedules with strange hours could soon be the norm. Hello France. Quick....what is the famous French saying......I give up....oh...that's it. People should work the amount of time it takes to finish their job. If that is 30 or 60 hours a week, who cares? Let the person decide how much of their life they want to dedicate to work. If you don't like it, quit, and find a job that is more your speed. Expecting to accomplish anything meaningful in a 40 hour work week is fantasy. A couple of generations ago, people worked until the job was completed, and completed in the correct way. Now people show up to get a pay check. Most of your jobs are totally useless, go build something or fix something or invent something. Work is rewarding when you actually produce something.